My husband and I went for our anniversary and this was his first time there. He has already said we will be returning because he was so happy with the food and service. We arrived 15 minutes early for our reservation and they say us and even gave us the option of table or a booth, which was very considerate. Our server Mark was great and the food was absolutely delicious! 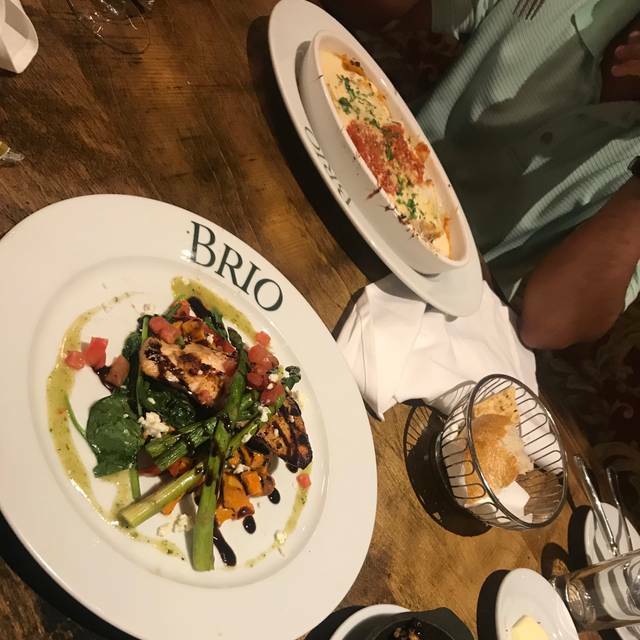 We will definitely be returning to this BRIO again once I give birth so I can enjoy more of their menu!! 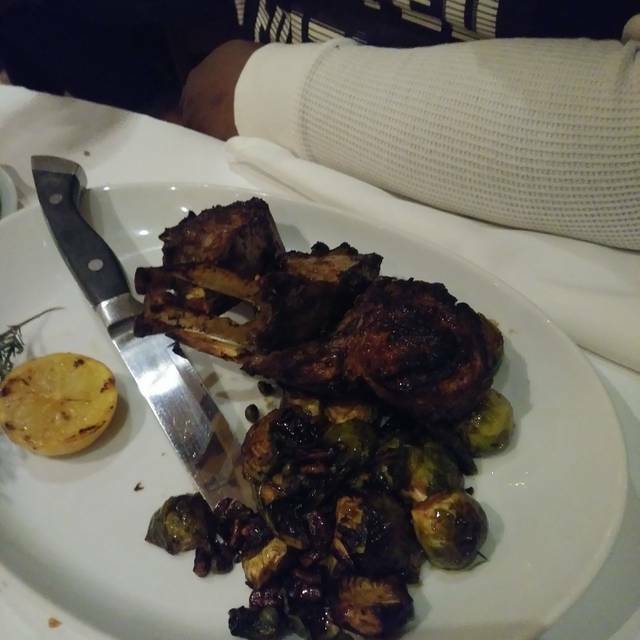 our server Leo was attentative, knowledgeable and offere reccomendations when asked. the meal was served on time and was hot and delicious. The waiter was very good at explaining different items on the menu. Restaurant was alittle loud.. we had reservations, but was surprised there was no line for a Saturday night..
Caesar salad with salmon was lettuce, dressing and salmon, no crouton, cheese. Nothing special for an almost $20 salad. Husband requested dressing on side. Didn’t get. Waited too long to complain. 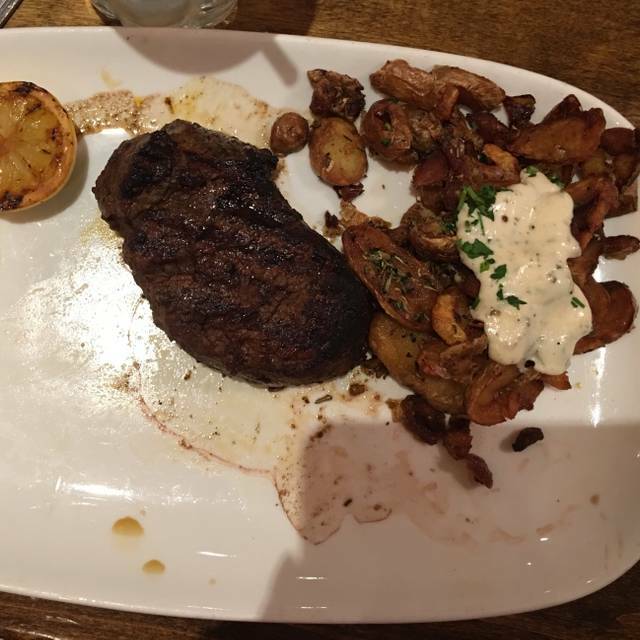 Kids both had the ribeye and it was so fatty only half was edible. And it was an adult steak for 9 year olds. Only thing good was wine!! After a $200plus meal.. we were disappointed to say the least. 3 steak overs ALL well done we ALL ordered medium rare. We didn’t send it back because we waited long to start with. 3 same steaks all different sizes. Chris the beverage manager was so awesome but the manager Patience was annoying and had attitude with Chris so taking a minute to chat with us by the table. We can go to 73 location but we like Chris that’s why we go to Cherry Hill location - she was rude to call him away with an attitude. Mushroom Ravioli was delicious. However, I was disappointed with the Caprese salad. It was served dry. When I asked the waitress about it, she informed me it no longer was served with balsamic glaze. But it was also missing olive oil. Please bring back the balsamic glaze. I also felt like my waitress was in a rush. I have never had a bad experience at the Marlton Brio. Server could care less. Took forever from ordering to drinks et cetera. No better than an Olive Garden in my opinion. 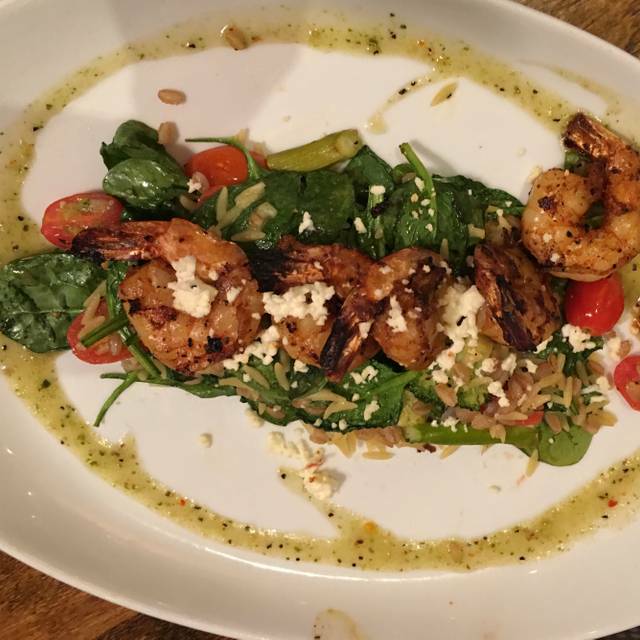 Not only enjoy the food but it always good and the service excellent. Food was good and server was attentive. We dined on a Sunday afternoon and everyone enjoyed their meal. The bread is always scrumptious. Bad experience. No one there at 4pm for our reservation. Sat for 15 minutes before anyone came to check on us. Drinks took another 15 minutes. Had a reservation for. Birthday and they never acknowledged it. Was a disappointment all around. We will not go back. Excellent service, many wonderful choices on the menu, great atmosphere. Server did not rush us through as we wanted a relaxing time to catch up. Totally enjoyable lunch. The food was delicious!! Our waitress couldn't have been any nicer! Patience, the manager saw to our dining needs. 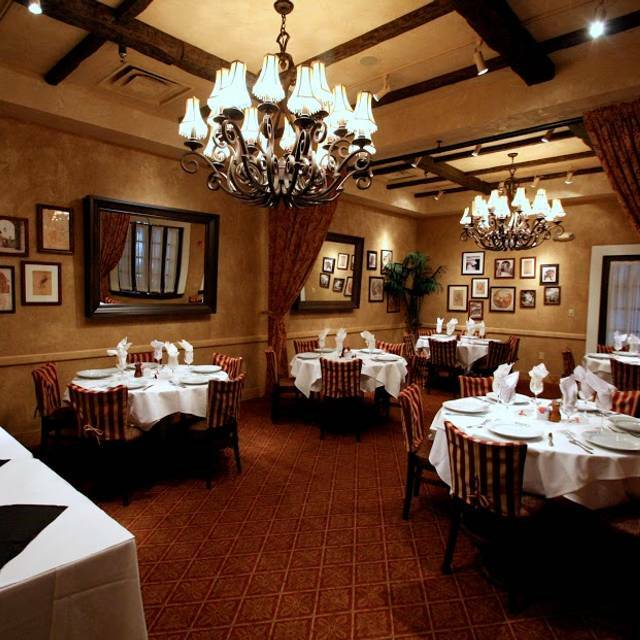 She made sure that our experience at Brio was consistent with previous visits. We asked to be moved from a table to a booth and this was done with out a problem. Our waitress Page was very reactive to all of our requests. It did appear our waitress was being slowed done by the kitchen staff. We could tell she was embarrassed about the items that we followed up with her on. She did keep a smile and and up beat front to let us know she would deliver our items as soon as they were ready. We will be going back again in the near future. First visit was a fairly good one. Service was a little slow as we sat at the high top tables in the bar area. Our server was bartending in addition to serving many tables, so she was probably overwhelmed. She did as well as possible. The food was ok, our waiter was also the bartender, probably not a good idea, we waited very long for our appetizer. I enjoyed the atmosphere of the restaurant but my dinner was not as enjoyable. 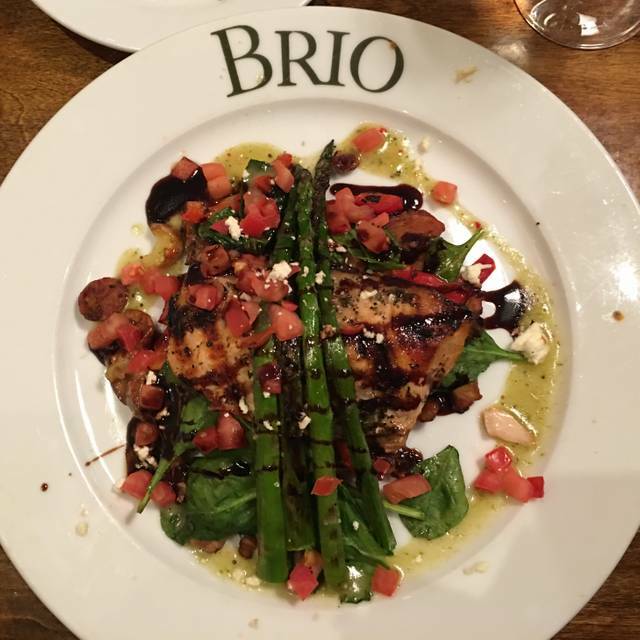 My husband and I went to Brio for dinner to celebrate our 23rd anniversary. Our waitress and the manager were very accommodating I guess I just didn't pick the right dishes. I couldn't even win with the desserts. I tried the Lemon Cheesecake and returned it. I could barely taste a hint of lemon. 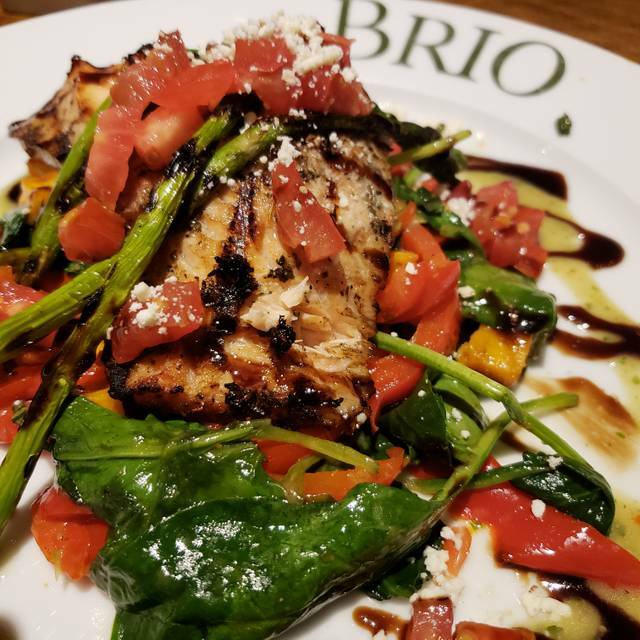 Unfortunately, I was very dissatisfied but my husband enjoyed his dinner so I cant say i wouldn't recommend Brio to others. Had a great lunch with a good friend. Our waitress was a gem. 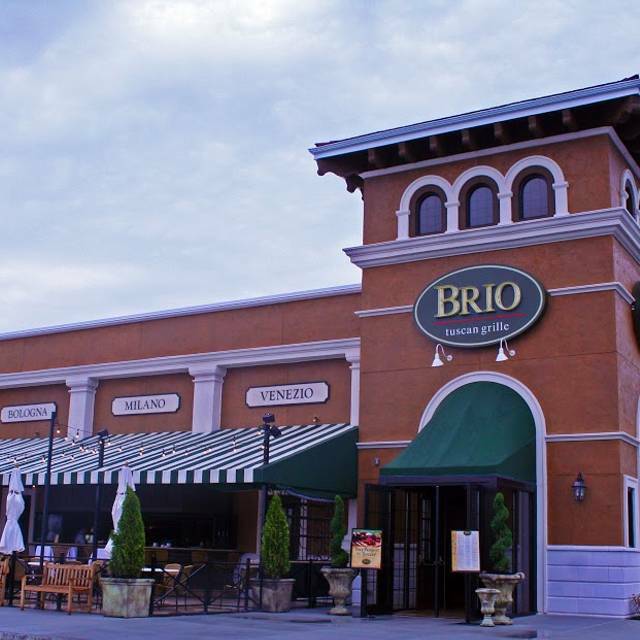 I have been to Brio a number of times and consider it one of my favorite places to eat. The food is always delicious. The wait staff is hit or miss, which is my only complaint. Perhaps they need better training. The last one sort of served us as she "flew" by without any particular attention, although service was prompt. Food was excellent and we'll definitely come back!!! Our selections averaged out to "good"--our salads were excellent, one of the pasta dishes was only okay, and two were very good. The service was excellent and friendly, the value was very good. The food was good. The section is terrific and the wait for a Saturday evening was not that bad. Booked through Open Table - seated right away but the service was very slow. the waiter would disappear for a long time. was 20 minutes before we put in an order. Food was good - no longer have one of my favorites (shrimp & crab cakes). Just crab cakes for an expensive appetizer. This used to be my favorite place but I won't be returning. Not only did they take my favorite dish off the menu (the bruschetta quattro), but my meal was so greasy, it was mostly inedible. I got the Bistecca and asked for it to be topped with Gorgonzola. I can say the steak was cooked to a perfect medium, which is impressive given that it was less than 1/4 inch think. I don't know what it was they topped it with and tried to pass off as Gorgonzola, but it was nothing like that. The potatoes and side of green beans were literally dripping with oil. My husband got the lasagna and though he liked his dinner better than I did mine, he said they quality was far lower than what he's used to. He also commented and I noticed that it was completely shapeless and over-sauced. 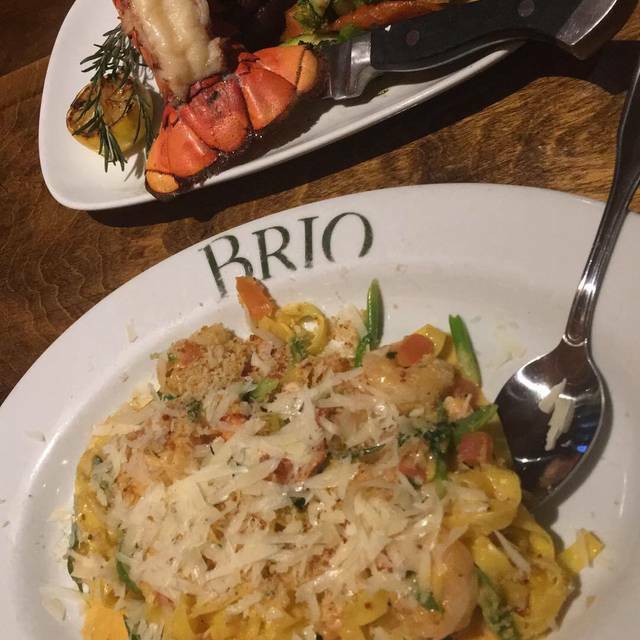 I'm sad to say it, but that was our last meal at Brio. Menu changed since last time and they took off a lot of our favorites. Also the prices went up. For was not as good as usual and service was very slow. Super hard to hear each other talk in the restaurant. Overall very disappointed.